The Dungon Bolo is named after a place in Northern Luzon between La Union, Benguet, and Pangasinan where Bago tribes had its own blacksmithing industry also. This blade is distinguishable by the fittings in the handle, usually cast in aluminum alloys and the centered grip made of exotic woods like ad-daan , ipil-ipil, or kamagong. 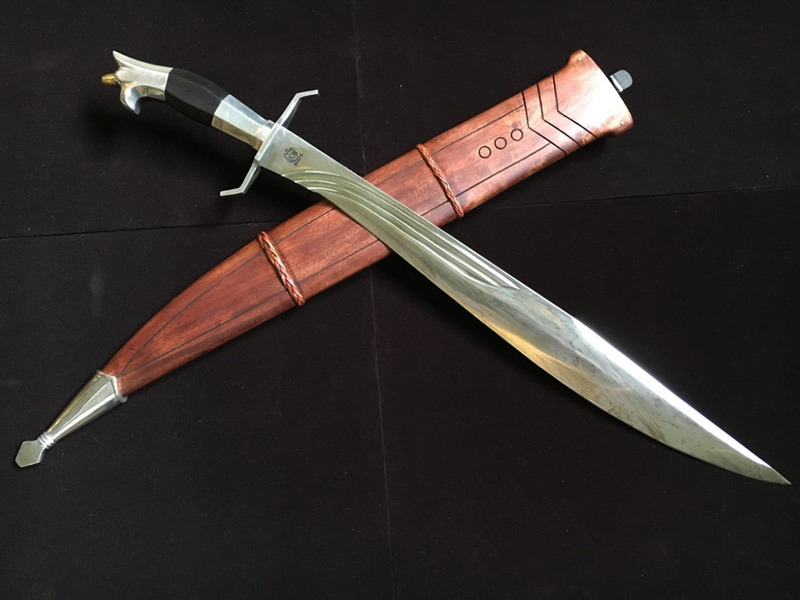 The Dungon Bolo is usually designed as common Katipunan bolos, pointed and with belly. Other names used in the north are “Natirad” , “Pimmagay”, and “Dahong Palay”. 5160 Spring Steel Sharpened Blade. Exotic Kamagong Ebony Wood Handle and Scabbard. Brass Fittings. Premium Quality Construction.